The National Gendarmerie, which is part of the French public forces, has a mission to protect public security and also acts as a police force for the judiciary. It works mainly in rural and peri-urban areas to fight crime, ensure the security of people and property, participate in intelligence gathering, and bring relief and assistance to people in difficulty. The challenge was to enable information sharing through a tool adapted to its particular role as a police force. The National Gendarmerie wanted to set up an Enterprise Social Network (ESN) to facilitate and streamline the exchange of information within the organization. The objective was to allow all of its 100,000 gendarmes in metropolitan France, overseas territories, and about thirty countries around the world to collaborate and communicate continuously without geographical or time constraints. Indeed, some of its projects involve people working across multiple continents 24/7 in different time zones. Before this force implemented eXo Platform, its preferred means of communication were email and telephone. Another challenge facing the gendarmerie was that it was unable to share documents between its multiple sites. For instance, its representatives from the Paris area were unable to track and exchange documents in collaboration with sites in other areas. Therefore, in an attempt to gain efficiency and achieve modernization they turned to the eXo Platform. 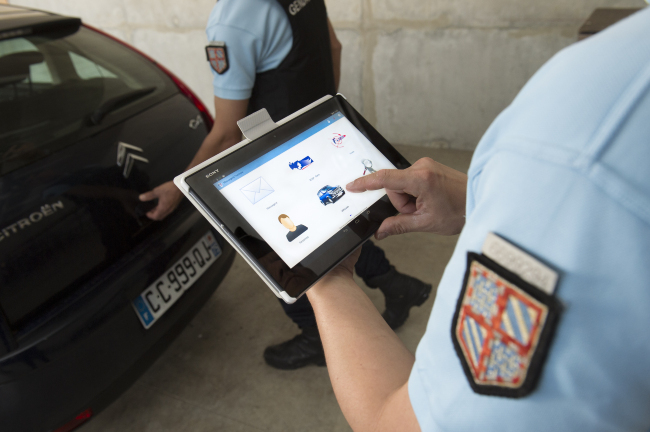 With this solution, the National Gendarmerie aims to enhance its collective efficiency, to allow information to circulate more quickly, and to have the capability of finding information in one place from anywhere. 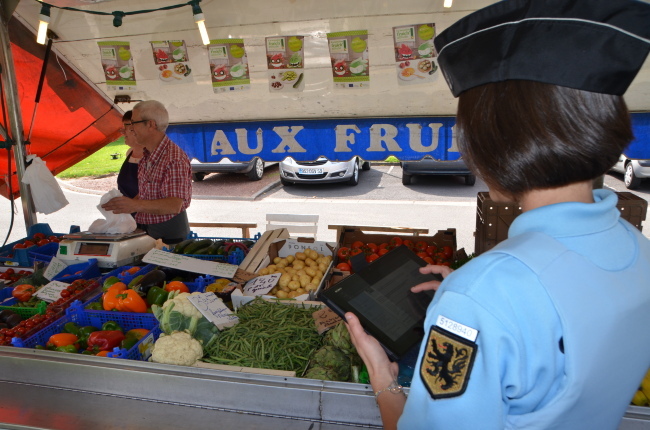 The National Gendarmerie was particularly attracted by the variety of collaborative applications built into the eXo Platform. Document sharing, instant messaging, shared calendars, task management, polls, and real-time notifications are all features of the platform that are helpful to the day-to-day lives of the gendarmes. These features promise considerable time savings by reducing the amount of travel and providing the ability to exchange information continuously without risk of confusion. The native document management system of the eXo Platform allows the gendarmerie to share documents across their various sites (in Metropolitan France and elsewhere) easily. Discussion groups and projects were addressed by creating a conversational environment using a variety of collaborative applications directly accessible from any desktop or mobile device. 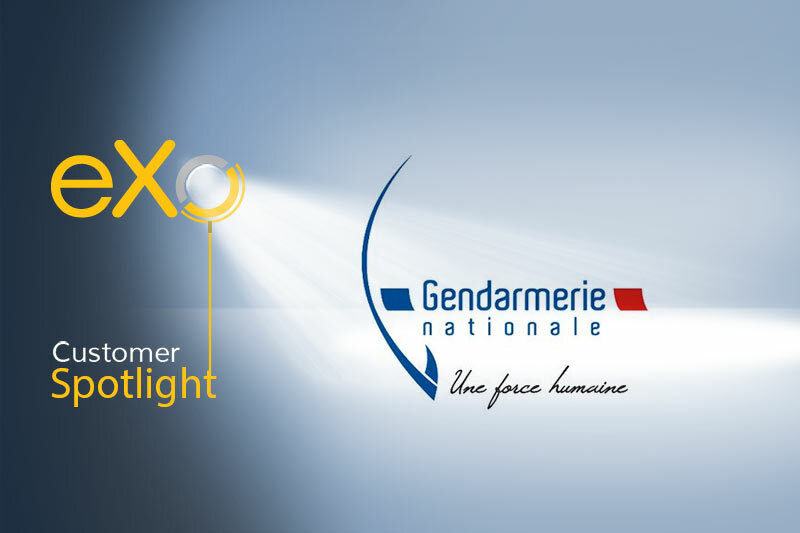 The native mobility offered by the eXo Platform was an important reason for the National Gendarmerie’s choice. 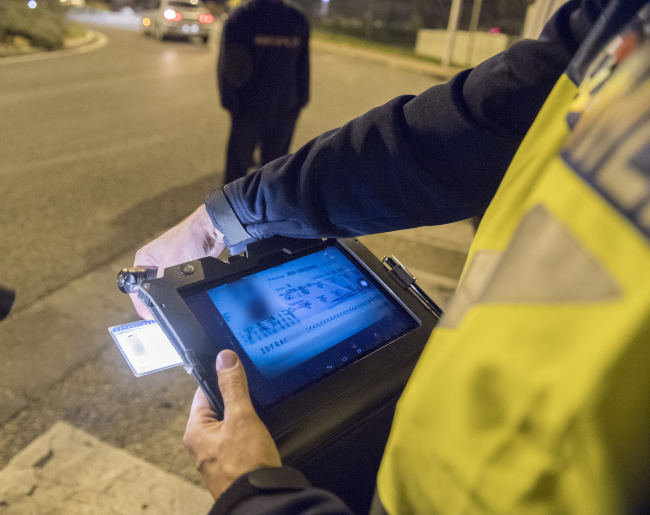 Alongside the business applications (such as verification of licenses and identities), gendarmes in the field can now continuously stay connected to their digital network. The project uses the standard features of the eXo Platform. Only a few weeks were required to implement a custom graphic design and adapt the platform’s labelling and vocabulary in the user interface to those specific to the gendarmerie (helping ensure quick adoption of the tool). eXo also delivered initial training to the pilot team, which relayed it to the internal training platform of the National Gendarmerie. In order to facilitate the adoption of the platform, the National Gendarmerie deployed a communication and awareness plan to complement the training. For the technical implementation, it was necessary to address the force’s high security requirements. This is why the solution has been deployed in the private data centers of the National Gendarmerie and made accessible via its internal network in such a way as to ensure its security. In addition, the eXo Platform’s support for open standards facilitated its interfacing with the Gendarmerie’s internal authentication layer. The platform is a flagship project of the digital transformation of the National Gendarmerie. All the employees eagerly awaited this solution to facilitate the needs of their daily work lives. That is why the first onboarded communities quickly adopted the platform. This new Enterprise Social Network is showing signs of a bright future because it fits well with the DNA of the Gendarmerie: an “esprit de corps” as they collaborate in their daily service.